High optimum efficiency due to proper contact of gills with tubes. Commonly used in plants where intoxicated flue gas is generated due to the quality of fuel burnt. 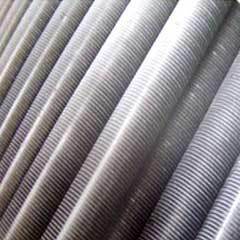 Used commonly in process industries, chemical plants and waste heat boilers. IBR & 3rd party inspection undertaken. Looking for Economizers For Steam Boilers ?